From large earthworks through to small projects, we can provide an experienced operator with a digger, bobcat, excavator and trucks to your needs. Driveways have to be properly prepared and soundly engineered and look great. Epic360 can ensure that your driveway holds up and looks great! 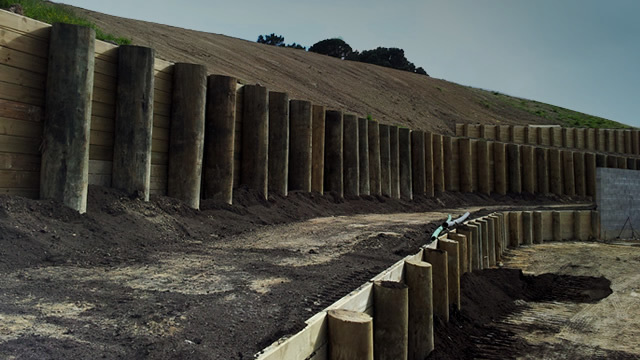 Need a timber retaining wall that will stand the test of time? 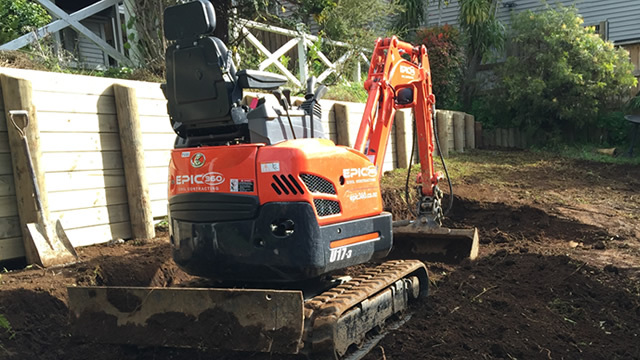 Epic360 are the retaining wall contractors of choice for builders in Auckland! 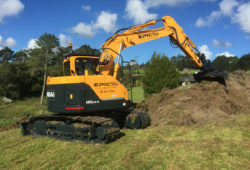 Operating for more than 35 years, Epic360 Civil Contracting provide construction and excavation services all over Auckland, Rodney and the North Shore. We will bring our expertise and experience in earth moving and earthworks to your residential and commercial projects. We commit to a high standard of excellence in project delivery through our wide range of site work services. 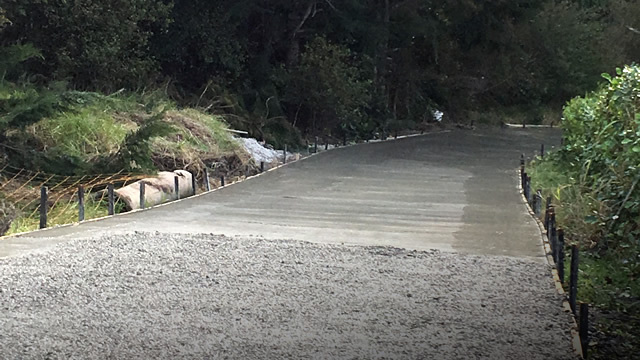 Our services include: Earthworks, site leveling and top soiling, concrete works, concrete paving, driveways, landscaping, general cartage, metal and topsoil delivery, residential and commercial building site excavation, subdivision site works, retaining wall construction, bobcat hire and machinery transportation. You can rely on us to do the work efficiently and help you deliver your project promptly and on budget. We understand our social and environmental responsibilities. With this in mind we strictly adhere to health and safety and environmental regulations on every project. To find out more about Epic360 services, please contact us. We were really impressed by Epic360. The quality of the job done, the professionalism of their staff, the clean up at the end and their general “can do” attitude were all great. We cannot recommend them enough. Thank you to Brendon and his team. Your operator did a really good job. Fill in old swimming pool and landscaping work. Your digger driver was great and did a sterling job, he was a real credit to your company and I will recommend Epic360 in future when I hear of jobs requiring contractors. Over the last few years we’ve seen companies of all sizes benefiting from the advantages of machine control products and technology. 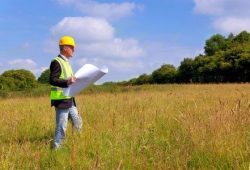 Whether you own a small residential section or a large lifestyle block, if your land is too big to meet your needs and you wish to divide the property into two or more separate land titles, then the process you will need to go through is called ‘subdivision’. 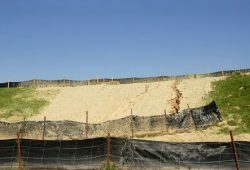 No matter which way you slice it, a slope may appear difficult to landscape. 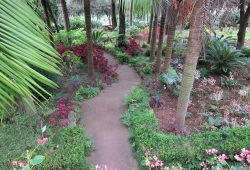 Whether your house is at a higher elevation with your land sloping down and away from it, or the land slopes down to meet your house, there are landscaping solutions available for you.